Cute cartoon animals. Zoo alphabet with funny animals. 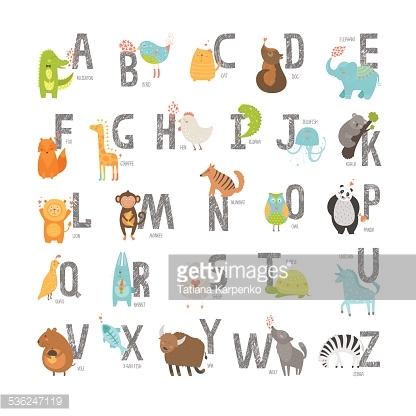 Cute zoo alphabet in vector.